Special care anti seborrhea shampoo for intense scalp and hair treatment, unique formula for stopping flakes, itchiness and scalp sores caused by seborrheic dermatitis, psoriasis or atopic eczema, effectivelly reduces sebum production. Capillus it is a unique program of special scalp care by the skin problem such as seborrhoea, excessive occurance of dandruff (greasy or dry) or skin irritation, reddening or itchiness of scalp. Capillus is a special anti seborrheic shampoo working against the display of seborrhoea with the help of pure hemp protein, salt of the Dead Sea, effective extracts of grapefruit seeds, rose-apple and hyssop for washing and a treatment of a scalp. The efective extracts work quickly against forming seborrheic dermatitis, restrict the occurance of a yeast and adjust the seborrhoea , ease the formation of dandruff, itchiness and irritation of scalp. The anti seborrhea shampoo softly and regard fully washes the head and hair without any irritation, washes and softly treats hair. Apply the anti seborrheic shampoo on wet hair and softly froth especially on the scalp and lengthwise the hair. Let it work for at least 3-5 minutes and then properly rinse with water. Long hair should be extra treated with a hair balsam. For problems with the scalp such as seborrhea (seborrheic dermatitis) dandruff, excessive formation of grease or itchiness always use special shampoos while washing hair. As a solution to a formation of dandruff we recommend capillus seborrhea shampoo for hair with dandruff, problems with seborrhoea and greasy dandruff - capillus seborrhea shampoo. While washing your hair comply with the recommended operating time of the treating shampoo on the scalp - always let the anti seborrhea shampoo work for 3-5 minutes on a scalp, or else the effectivity excessively decreases. Then properly rinse the hair and scalp with pure water. The washed hair slightly dry with the Turkish towel, yet do NOT rub nor scratch the scalp too strong. If you need to treat long or dry hair with balsam, use it only along the length of your hair. 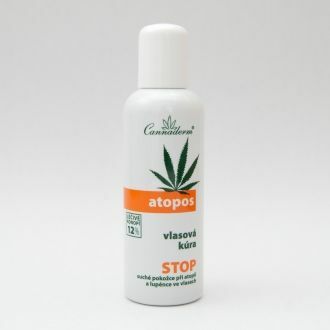 Do not apply any hair styling (such as a setting-lotion, gel, hairspray, creams) in the case of problems with the scalp. 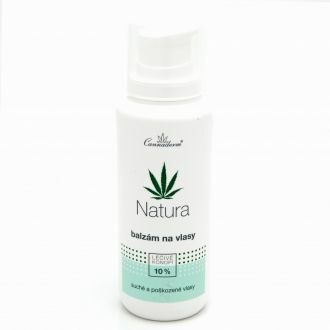 Ingredients: Aqua, Sodium Coco-Glucoside Tartrate, Cocamidopropyl Betaine, Disodium Cocoyl Glutamate, Cannabis Sativa Seed Extract, Cannabis Sativa Seed Oil, Citrus Grandis Extract, Ascorbic Acid, Xanthan Gum, Eugenia Caryophyllus Flower Oil, Hyssopus Officinalis Leaf Oil, Glycerin, Salicylic Acid, Lactic Acid, Dead Sea Salt, Inositol, Eugenol, D-Limonene, Linalool.